"Constitutional and Administrative Law" is highly praised for its clear writing style, making a broad subject easily digestible for the student. 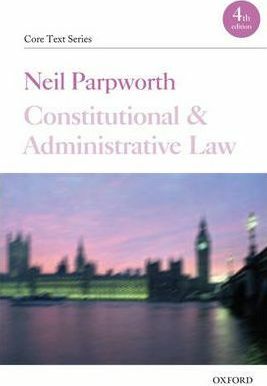 Parpworth's accuracy and appropriate use of materials focuses attention on the main features of the law and ensures that the subject is accessible for the reader. The suggested further reading is regarded as extremely helpful to aid understanding and further exploration of the law.